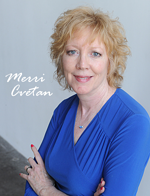 A (not-so-secret) designer tip is to stick with two or three colors and textures. 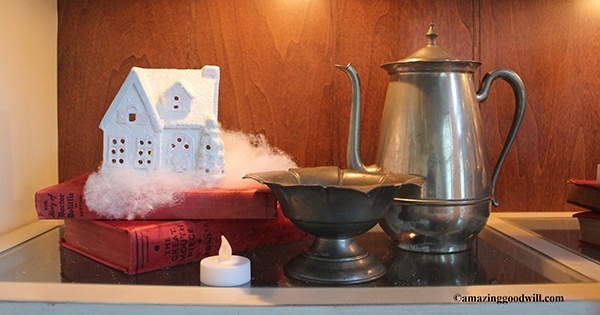 For each shelf, I made a little vignette using old red books, vintage pewter and snow-covered mini houses. I found cute little houses at Goodwill for less than $4 each. Some are open in the back for candles and the others are just for fun. 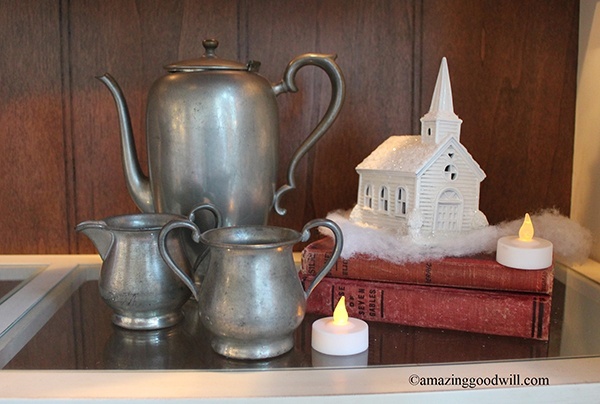 In keeping with my red, white and pewter-grey theme, I spray-painted each building with a few coats of white. After the paint dried, I sprayed layers of fake snow and doused each with lots of glitter while the paint was still wet. 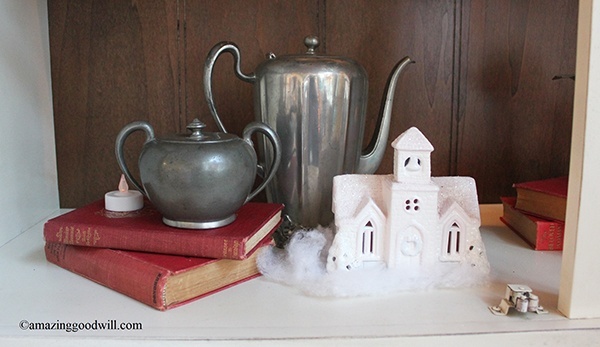 Stacks of old books add vintage charm and give height to other items. Nestle the houses on clouds of “snow” (pillow batting). Finally add battery operated tea lights to make each shelf glow. 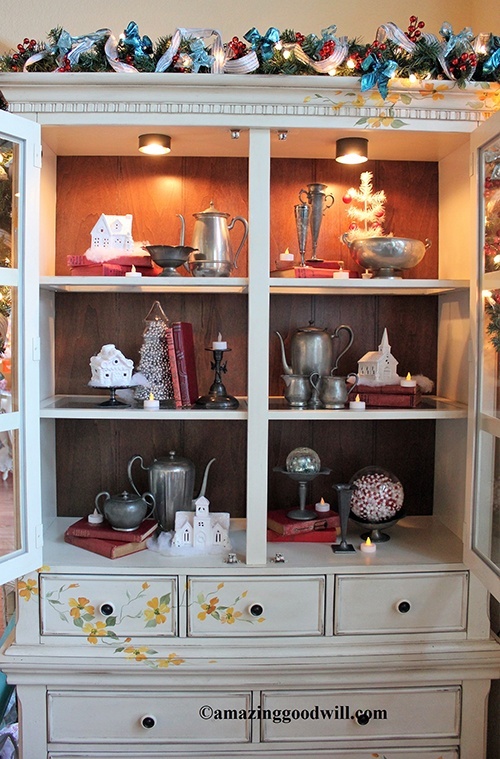 Since this display is more wintery than Christmassy, you can keep it up all season long. I wish you and your family a wonderful Christmas and holiday season!